Below are samples of my work for various brands on Instagram, Pinterest and Twitter. As Social Media Editor, I posted a constant stream of stories to the paper's Twitter and Facebook accounts. Additionally, I brainstormed and executed several social media contests to promote the paper's special editions. Through contests and live-tweeting sessions, I helped raise paper's Twitter following by 7 percent from 13,000 to 14,000. I also designed and assisted with the production of the account's cover photo shown below. 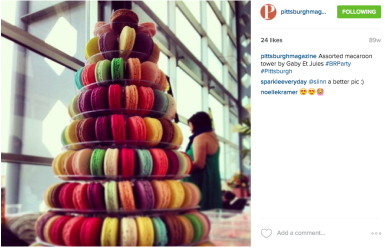 ​During the summer of 2014, I helped re-brand the paper's young Instagram account. Below are a few samples of my posts. 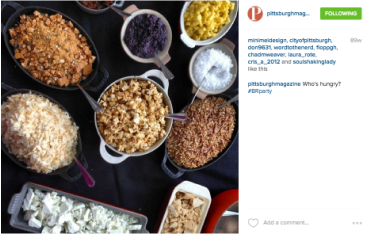 During the same summer, I helped cover Pittsburgh Magazine's Best Restaurant event on Instagram -- as shown below. Additionally, I spearheaded and co-designed a Pinterest campaign highlighting the magazine’s colorful brand. 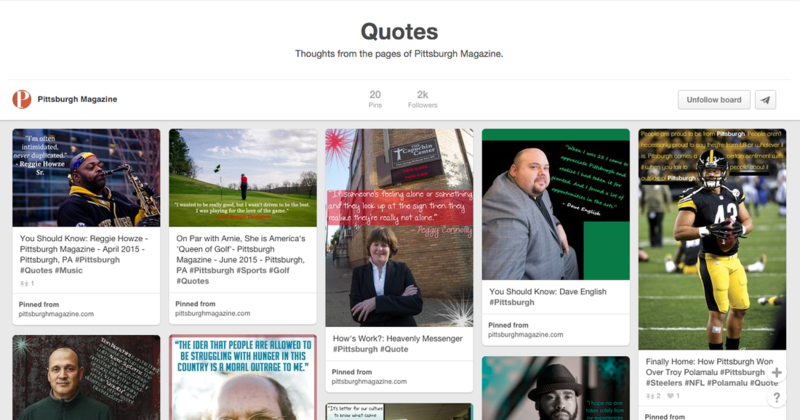 The Pinterest page features pull quotes from previous issues of the magazine.